Thinking about AMPing up your website in 2018? Hold on, do you even know what AMP stands for and how it could benefit your website? Accelerated Mobile Pages (AMP) is an open source initiative by Google to improve the mobile web browsing performance as it has been on the rise. AMP loads faster on mobile devices literally in the blink of an eye. AMP helps tackle the issues of unresponsive pages on phones or tablets by stripping the pages down to the basic content. 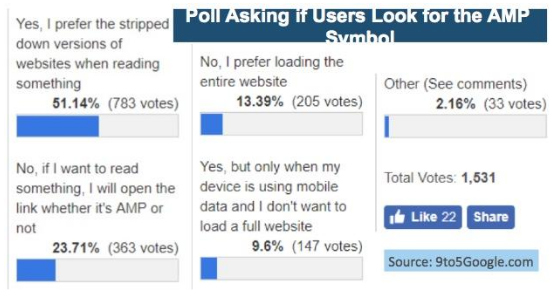 The below poll conducted by Google shows web users experiencing faster browsing experience. This poll shows that 50% of the web users preferred AMP websites. Even though it is a plus, not all websites require this feature equally though! It also depends on the type of website that you have. 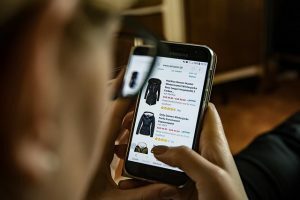 For example, some eCommerce websites with AMP experience 20 percent increased sales and news websites get a lift in search traffic but on other websites it only leads to better user experience. Visitors want their information to be short and to the point. You don’t want your visitors to have to scroll to much when viewing your website. Reportedly, 60% of the mobile traffic directed by Google comes from AMP websites. So, is it a hard bargain to ask web developers for assistance in AMPing their websites in order to achieve incremental traffic through Google’s “Top Stories carousel”? I don’t think so. For more advertising revenue, metrics and increased visits from search, it seems worth it. It is now up to you to decide, but it won’t be a bad idea to AMP up your website especially considering the current trends. Being a step ahead of your competition is what is it all about and AMPing up your site is a step in the right direction. Implementing Accelerated Mobile Pages thoroughly is a prerequisite to getting the best results. Therefore, our Atlanta web design and development team can help you AMPlify your website. We are well-aware of the implementation and other insights of AMP services. We would love to help you boost your websites with these newer services. Give trueITpros a call today at (678) 534-8776, so we can get started on AMPlifying your website’s user experience right away.